In the front row for Skibbereen’s St. Patricks Day Parade were Michael Thornhill, Darren Nolan, Reddy O’Regan, Helen Dempsey and Sean McCarthy. Photo: Anne Minihane. Charlotte Kent getting her face painted by her mum Sophie of Cre Pottery at the Skibbereen St. Patricks Day Parade. Photo: Anne Minihane. Jake Shanahan, Leap gets his painted by Sophie Kent of Cre Pottery watched by his sister Rebecca at the St. Patricks Day Parade in Skibbereen. Photo: Anne Minihane. Jake and Rebecca Shanahan, Leap enjoying the Skibbereen St. Patricks Day Parade. Photo: Anne Minihane. Una and Aoife McCambridge, Galway and Jennifer O’Connor, Cork visiting their grandparents in Skibbereen all smiles at the St. Patricks Day Parade in the town. Photo: Anne Minihane. Having a fab time at the Skibbereen St. Patricks Day Parade was Grace O’Donoghue, Castlehaven. Photo: Anne Minihane. Young ladies from Leap – Ava, Mia and Sophie Scarlett with Zuzia Stelmach waiting for the parade to start in Skibbereen. Photo: Anne Minihane. St. Patrick with local firefighters Adrian Collins and Chris O’Brien taking part in the St. Patricks Day Parade in Skibbereen. Photo: Anne Minihane. Eileen and Áine O’Driscoll with visitors Juciene and Marystela Lopes, Brazil and Natalie Taupe, Austria at the Skibbereen St. Patricks Day Parade. Photo: Anne Minihane. Clodagh and Jack Deasy from Union Hall dressed to impress at the Skibbereen St. Patricks Day Parade last weekend. Photo: Anne Minihane. Alannah Hurley, Páidí Ó hArgáin, Laoise Ní Ríordaín and Katie NicThomáis members of Ballingeary Pipe Band at the Skibbereen St. Patricks Day Parade. Photo: Anne Minihane. St. Patrick was on hand to celebrate Ireland’s Grand Slam victory with biker Derry Hourihane at the parade in Skibbereen last weekend. Photo: Anne Minihane. Alannah Hurley on the Tenor drum with her grandfather Gary Hurley on Bass drum members of the Ballingeary Pipe Band who performed at Skibbereen’s St. Patricks Day Parade. Photo: Anne Minihane. Happy faces at the Skibbereen St. Patricks Day Parade. Photo: Anne Minihane. Some members of O’Donovan Rossa GAA team with club officers which won the All-Ireland Club Football final in 1993 were Grand Marshals at the Skibbereen St. Patricks Day Parade. Photo: Anne Minihane. 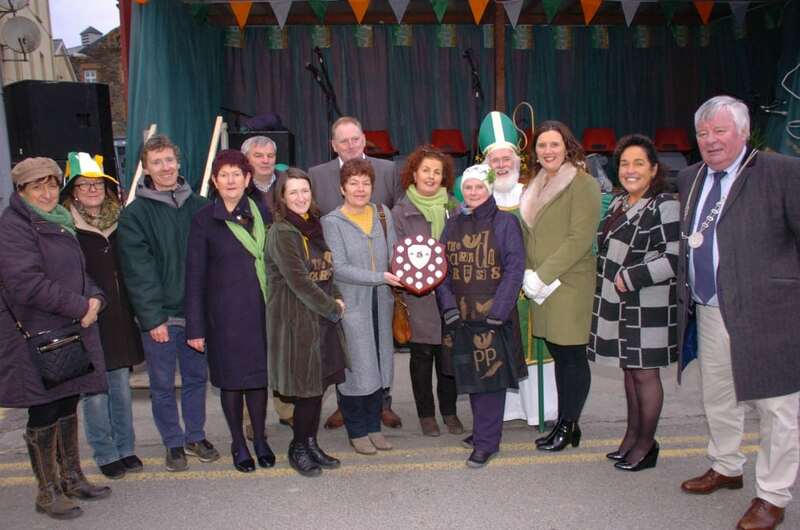 The Parade Press from Uillinn West Cork Arts Centre was the overall winning float at the Skibbereen St. Patricks Day Parade. Photo: Anne Minihane. The Parade Press from Uillinn West Cork Arts Centre were the winning float at the St. Patricks Day Parade in Skibbereen, pictured is Catherine O’Callaghan presenting the Julia Hickey Memorial Trophy to Justine Foster and Trisha Curran of the Parade Press with members of Skibbereen Chamber of Commerce, local politicans and St. Patrick and guests in attendance. Photo: Anne Minihane. 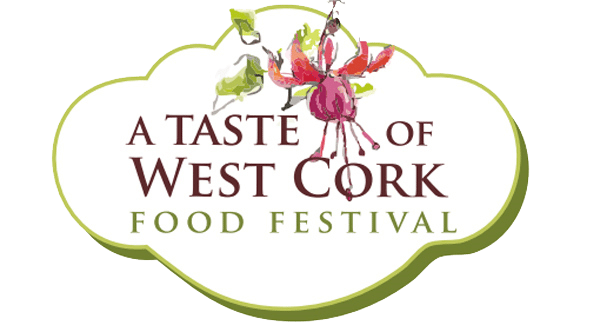 St Patrick’s Day Parade in Skibbereen – Saturday 17th March at ... Skibb is getting ready for GDPR….